Now, if you know anything about me, you know how much I love Minnesota. Yes it snows a lot. Yes they/we have a lot of mosquitos. 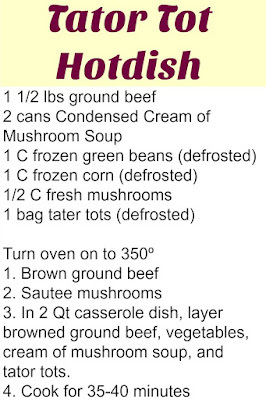 Yes there's something called hot dish, not casserole. There's just a lot more I love about it than I don't which is why I'm always homesick. When I came across Homesick Candles, my heart skipped a beat. I wasted no time reaching out asking if we could work together to do a review! The idea of this is so fabulous on so many levels! When you move out of state, aren't you homesick for a while, or forever? You miss it, the people in it who made your life better, richer, full of joy! 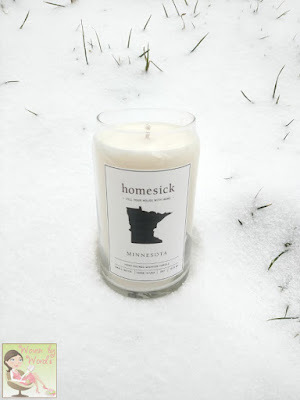 Homesick Candles are a sentimental way to remember how much you love where you've been! I'm sure each of us, who have moved away from the place we love, has a memory such as a scent, a food, or an area that comes to mind at random times. Yesterday we were driving over on the Eastern Shore, and it just reminded me of being up North in Minnesota. The Homesick Candles give us a scent that's supposed to remind us of home. Minnesota's scent "Takes you back to The North Star State, with scents reminiscent of winter air and Minnesota apple strudel." Now, you see the picture above? It was very fortuitous that my candle showed up on the ONE day it snowed in Maryland! It's so weird not to see snow until mid January, and then for it to be gone by the end of the day. Definitely NOT a Minnesota winter! Something else that reminds me of home is a hotdish. Before I moved to Minnesota, I had no idea what a hotdish was. When I found out, I was like, "You mean a 'casserole'?" 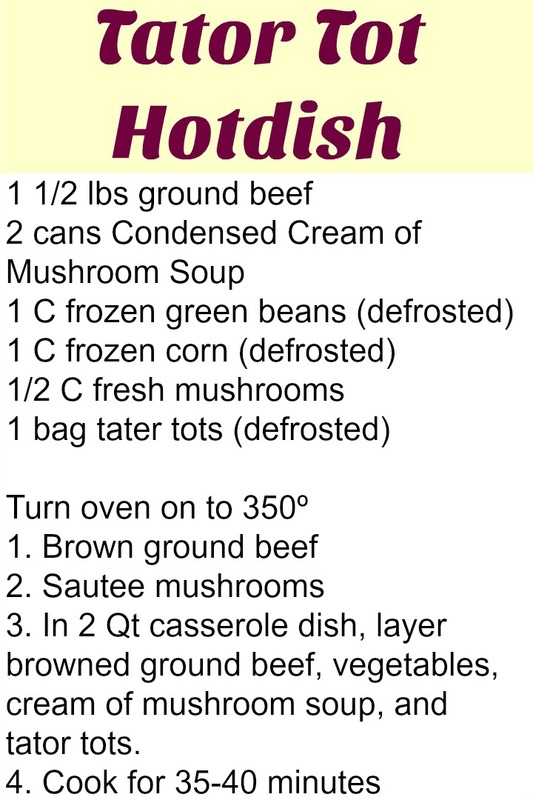 Hotdish sounded so stupid. I'd traveled a LOT of places, and never heard of such a thing. Well, Minnesotans say a lot of things differently. After a while you somewhat get used to it. 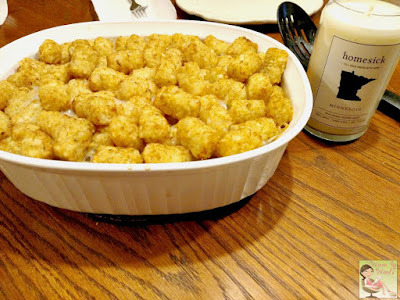 I decided that I'd share one of the hotdishes I like to make, it's a Tater Tot Hotdish. Somehow, and this was long before my time of moving to MN, people associated the state with hotdish and jello with fruit in it. Just cracks me up. While I did see hotdish at potlucks, I rarely saw jello. 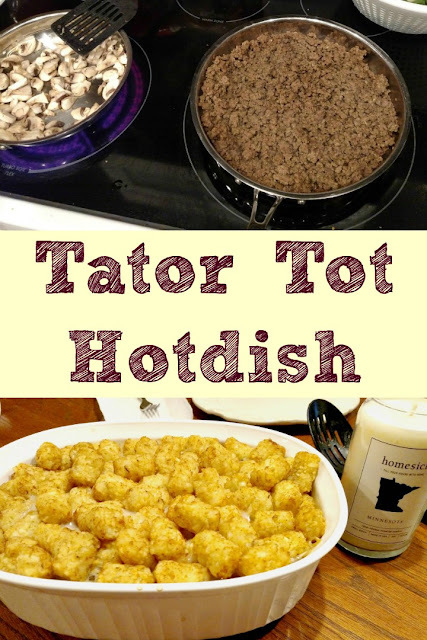 I change mine up a little bit, and I'd say there isn't one specific way that a hotdish has to be made. I mean, it's just a casserole. I like having sautéed mushrooms in mine, and I like the garlic condensed mushroom soup! Your family is going to love this recipe. It's perfect for the winter! 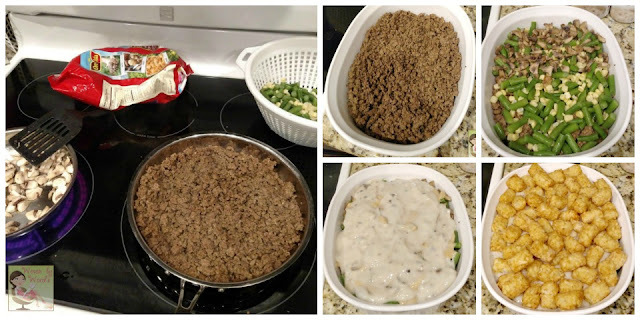 This is a super easy dish to make, and you will have a happy belly when you're finished! Now you have the chance to win a candle from the state of your choice. Which state are you homesick for? Love is in the Air! What would make February even better? Being able to enter a bunch of amazing giveaways! 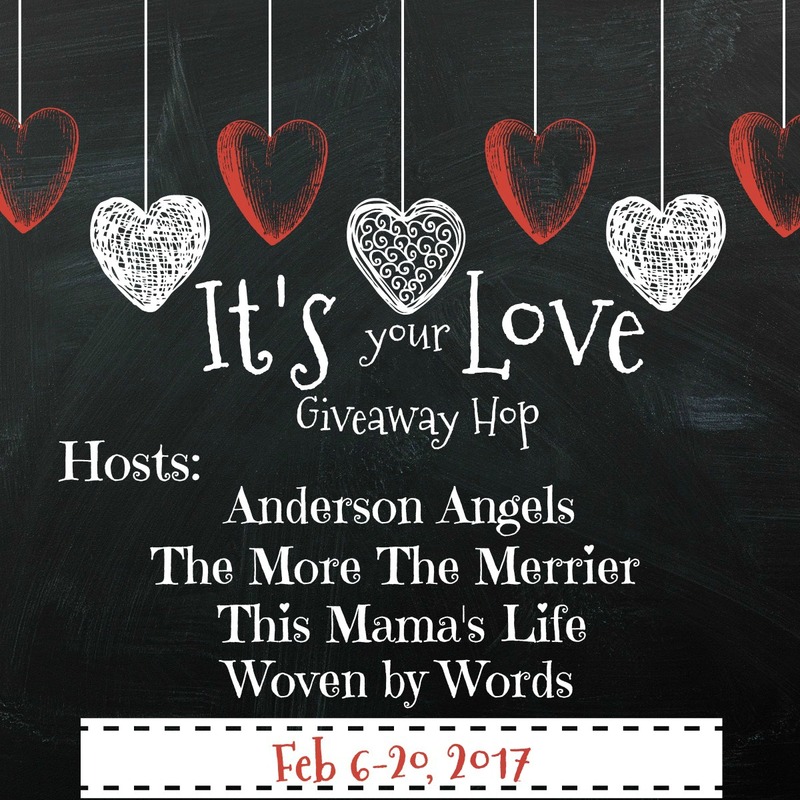 Anderson's Angels, This Mamas Life, The More The Merrier and Woven by Words, are very excited to help create It’s Your Love! We've teamed up with other wonderful bloggers, to bring you another great giveaway event! 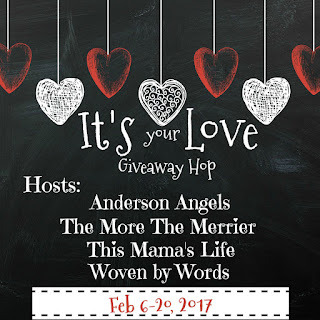 Each blog has gathered a prize package for the It’s Your Love Giveaway Event! And to make this event even more special, one lucky reader will win an Organic Aromas Essential Oil Diffuser! Hosts & participating hop bloggers of the It’s Your Love Event are not responsible for sponsors or self-sponsoring bloggers that do not fulfill prize obligations. My state is Kentucky and the scent has hints of bourbon, mint, and sunshine. Oh my goodness, Andrea, that's quite the combination! I'm curious as to how that smells! I would like the South Carolina Homesick Candle. It has hints of palmetto, hibiscus, sweet tea, and sea breeze. My home state. 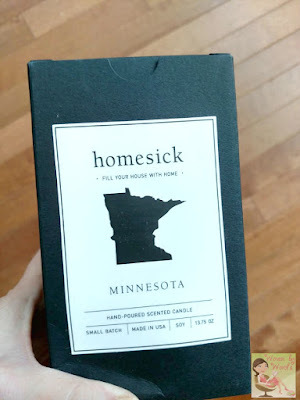 Mine is the Illinois Homesick candle (Scent takes you back to the Land of Lincoln with hints of grain fields, violets (the state flower), and lake breeze). Thanks. My home state is Wisconsin. The scent is kringle, cranberry and winter air. Sounds great! The scent is pear, redwoods, and vineyards. 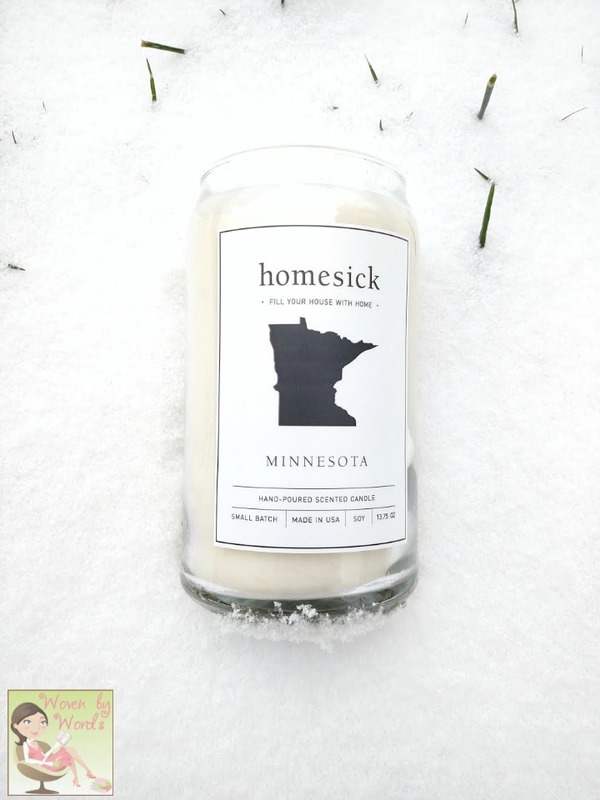 I'm from Michigan, so I'd like the Michigan Homesick Candle. I like the New Jersey Candle...with scents reminiscent of the Jersey shore. Although I live in New Jersey, I miss the shore (especially in the winter). The Aloha State's has hints of rainforest, coral, pineapple, and sea salt. That's where I want to go back to. The state I'm homesick for is Indiana and the scent has hints kettle corn, hay, and denim. Sounds very interesting and just like a fall festival in Indiana, I love these candles! Mine is Oregon,the scent of pine tree,hazel nuts,and Oregon pears,it's an interesting combination and I would love to try it. Missouri will always be my home. I have to say Iowa Homesick Candle. I would get the New Jersey candle. I definitely miss the Jersey shore. I would like to visit Tennessee, so I'll go with that one. My home state is North Carolina! This Scent takes you back to The Tar Heel State, reminiscent of fresh North Carolinian blackberries and barbecue. I think the Oklahoma Homesick Candle would be very nice! First, that tater tot dish looks amazing! I'm definitely going to have to make that soon. The candles are a super cute idea. I came across them online not too long ago and almost ordered one myself. I'm from NY but due to the Mister's job, we haven't been home in over 12 years, aside from a week visit every few years to see family and friends. So, with that being said, I'd totally get the NY candle. Thanks for the giveaway. I am most homesick for the rainstorms of Kansas!! I am from Arkansas but I most miss Mississippi. We have been to the beach in Mississippi the past two years and I love it. We hope to one day move there. The scent description for the Mississippi candle is Known as the Magnolia State for good reason, this fragrance combines blooming magnolia flowers with a lime accent and the clear scent of waterfalls. Sweet notes of cotton and tonka bean are balanced with complex, woody patchouli and cedar. I am a Navy brat, but we always lived near the ocean, and I would love the ocean, hay, and apple scent that absolutely reminds me of the smell of spending a few years in Newport, RI. I would have to say the Northern California with a fruity fragrance full of pears, apples, cloves, and cinnamon. Sweet accents of baked vanilla are balanced with amber and a dry musk finish. Sounds like an amazing smell to me! I would love the Virginia homesick candle.Like a walk through the woods, this fragrance blends hints of pine needles, fir, and sandalwood with a bouquet of blooming honeysuckle and the scent of soft rainfall. Mississippi --this fragrance combines blooming magnolia flowers with a lime accent and the clear scent of waterfalls. Sweet notes of cotton and tonka bean are balanced with complex, woody patchouli and cedar. Pineapple, firs, and sandalwoods from Virgina are the scents I'm homesick for. tart cherries and rich chocolate, the Michigan state candle. I grew up there. I have never moved from the state of Illinois, but my brother has. I miss him and I know he misses it here sometimes, too! The candle I would love to win for him would be "grain fields and a floral bouquet of honeysuckle, lavender, white flower, and violets (the state flower of Illinois). Breathe deep and you’ll catch hints of grain fields, light breezes, and a touch of vanilla and lemon."